Wine and cheese are two of the best combos ever brought together. It’s a simple way to serve your guests that requires little effort or money on your part, depending on which pairs you’re planning on serving. This food couple has been together for a really long time — we’re talking hundreds of years — and some places in the world even have regional wines and cheeses that were crafted specifically for the wonderful taste they produce when eaten together. Scientists have even studied how the two go together based on a term called “mouthfeel,” which is exactly what it sounds like: how good the combo feels in your mouth. But this is not that special pairing, unfortunately. 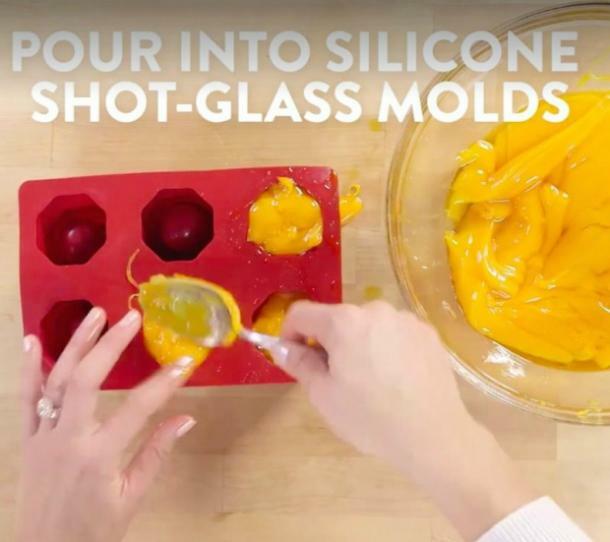 The cheese “shot glasses” are made in a way that makes them a bit unappetizing from the get-go, by shredding a 2-pound block of cheddar into a bowl, then microwaving and mixing it in 30-second intervals until it gets to a satisfactory melting point. Then you get the ummm... interesting opportunity to spoon the cheese out of the bowl — while it looks like orange snot — and dump it into the shot glass mold for it to chill and coagulate again. What isn’t there to love about it? Except for, you know, all the options listed above. Wine and cheese are fantastic, there’s no doubt about that. But this doesn’t seem like food wizardry; it feels more like a plot by Gargamel to trick the Smurfs into coming to his castle with some old bait ‘n switch tactics. If you were to show up at a “wine and cheese mixer” and these were being served on a tray, you’d probably knock that tray out of your surprised host’s hand and go grab a bottle of wine from the kitchen, because that sort of betrayal isn’t to be tolerated. Wine and cheese is a delicious combo, but they were meant to stand in line beside one another, not trample all over each other to hit that delicious high note in your taste buds at the same time. Would these be worth trying? 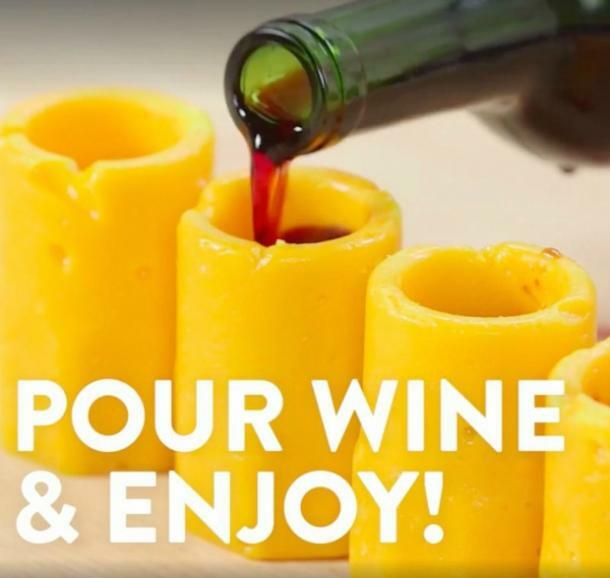 Probably one, just so you can have the experience of drinking wine from a cheese glass, and maybe to make an interesting addition for any night of drinking. But only after you’re already two sheets to the wind and won’t care that your guests are just eating their glasses and spilling wine all over the table like alcoholic toddlers.